Gum disease is an infection of the gums and the tissues that hold the teeth in place. Unfortunately, many older adults are under the impression that as they age, they don’t need to worry as much about their gum health. They believe that they will begin to experience symptoms of gum disease just because they are getting older. Fortunately, gum disease is entirely preventable, so it doesn't have to be part of the aging process. 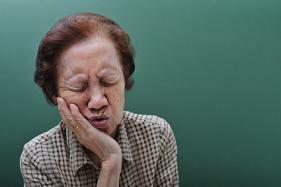 Recent studies have shown that 17.2% of seniors over the age of 65 have periodontal disease. Additionally, 10.6% of seniors over the age of 65 have moderate or severe forms of gum disease, which could lead to major oral health problems. Older seniors, smokers, and those who were low income were more likely to have periodontal disease, including the moderate and severe forms. Many seniors are under the impression that caring for their gums becomes less of a priority with age. This could be because they have lost teeth and have restorations like bridges, dentures, or implants in their mouth, but when these restorations are present it is even more important to care for the gums. Failure to do so could result in gums that can’t properly support the rest of the teeth and their replacements. The earliest form of gum disease is gingivitis, and no matter how old you are, if your dentist diagnoses you with this condition you can take steps to reverse it. The first thing to do is to improve your oral hygiene routine, and make sure that you are visiting your dentist regularly. Even if you have dentures, you need to make sure that you are continuing to set up appointments with your dentist every six months – sometimes more frequently – in order to ensure that your gums are remaining healthy. Please contact us if you have any questions about gum disease and senior dental health.